Essential Oils Guide: What Does Each Oil Do? 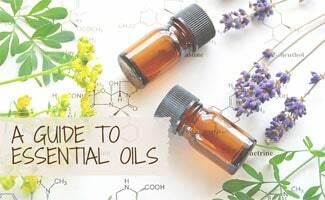 Home > Health > Essential Oils Guide: What Does Each Oil Do? 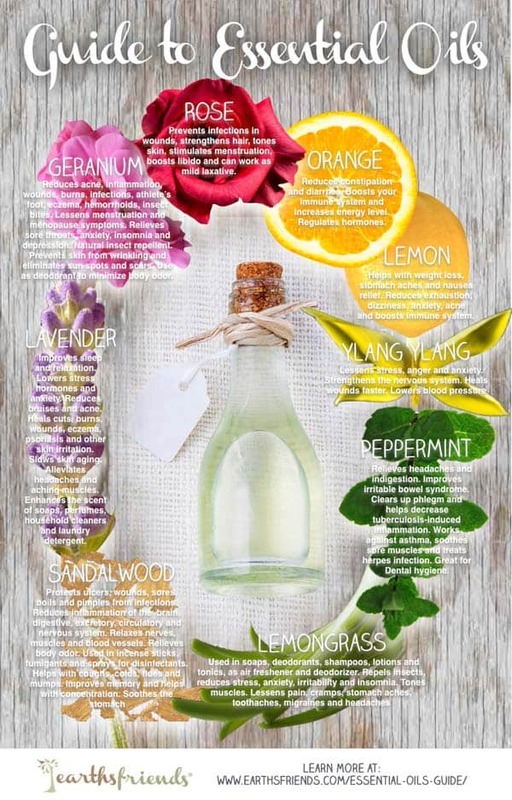 Looking for the best essential oils to naturally balance out your life? Essential oils can be used to heal, soothe, improve, prevent and alleviate symptoms you are experiencing that may be causing you pain, discomfort or dis-ease. Find out more about the most popular essential oils’ uses so you know which one might help you with your personal concern. Not only can they improve your health, but they also smell great on your body and throughout your home. Essential oils are available in many places. I buy mine from Young Living. You can also buy them at your local masseuse, GNC, Walmart, Walgreens and other retail locations. But, the most convenient options allow you to shop the online essential oil stores at YoungLiving.com and Amazon.com (see links below). You may have heard of Young Living, a leading brand in the essential oils world. You’ve heard of them because your friend is crazy about EOs and insists on buying them from Young Living. But why? Well, they are the only company that uses plants that are grown specifically for essential oil creation which means you get the best part of the plant and the freshest distillation to make the most potent oils. These are also known as 1st distillation, 100% therapeutic essential oils. This translates to users getting the most benefit possible from the oils they buy vs. getting a not so aromatic nor beneficial lavender oil from a less reputable seller. Other oils are not guaranteed to be safe either since they may or may not have been shipped or stored at the controlled temperatures required to keep them stable. This makes it extremely risky, especially when buying hot (cinnamon, oregano, etc.) or citrus (lemon, orange, etc.) oils. Sure it may be cheaper to buy on Amazon, but are you getting what you pay for? If you decide to go with Young Living, you will need to sign up first to become a member (the link above is my membership link to get you started). Your membership allows you to buy the healthful products and provides you with a boatload of education to enhance your life using essential oils. Have questions? Feel free to ask them below in the comments. Now let’s jump into an essential oils guide to the benefits associated with several of the most popular oils. Buying note: there are recommendations below for products sold on amazon.com, but if you prefer a higher quality oil with more powerful benefit potential, please click on the Young Living website link above to make your purchase. To learn more about specific essential oils choose one of the oils below or scroll down to read about them all! Note: This post is not medical advice but can be used to guide your understanding of the potential and reported benefits of these natural products. Follow instructions on product bottles carefully. Geranium oil is made up of many different compounds. The main components are citronellol, geraniol, nerol, citronellyl formate, isomenthone and linalool. Geranium oil is typically used by women due to its floral smell. It is often found in cosmetics and fragrances as well. Lavender comes from the Latin word lavare, which means to wash. For thousands of years, lavender has been used to help clean and purify skin. It is a versatile oil commonly used in bath and body care products. It is also reported to be a great product for reducing stress. There are tons of reported benefits to lemon oil. Reportedly, it can be used to detox the body, increase focus and concentration and even help with acne. One thing you may not know is that it might be helpful in keeping fleas away when placed in a small amount on your pet (consult your vet first). Lemongrass oil is mainly made up of geranyl acetate, myrcene, nerol, citronellal, terpineol, methyl heptenone, dipentene, geraniol, neral, farnesol, limonene and citral. It is a fairly safe oil as long as you use it in small doses and blend it with another oil like lavender, ginger, geranium or cedarwood. But please beware, using lemongrass oil undiluted can burn or injure your skin so be sure to add it to a carrier oil like coconut, almond or grapeseed oil. Orange essential oil is obtained by cold pressing the peel of oranges. The main components of orange oil are alpha pinene, citronellal, geranial, sabinene, myrcene, limonene, linalool and neral. Unlike other oils in this article, orange oil is not as versatile and has more specific purposes. Peppermint is great for “waking” you up. Just open the container and inhale the oil to increase your mental alertness. The scent can help purify and stimulate your mind which might, in turn, increase your mental accuracy. Some people ingest 100% therapeutic peppermint oil to help with indigestion (see Young Living‘s Vitality line for oils that are ingestion-safe). Rose essential oil is extracted by steam distillation of fresh Damascus rose. Damascus roses are the preferred rose because they are the most fragrant and are thought to be the first red rose. They have high oil content and a strong aroma. Sandalwood essential oil is derived from the hardest timber of the sandalwood. The oil is extracted through steam distillation of sandalwood trees age 40 to 80. The older the tree, the better the product will be because there is more oil available and a stronger aroma. Ylang ylang oil is extracted by steam distillation of fresh flowers from the ylang ylang tree. This tree is commonly found in rain forests in Asian and South Pacific Islands. The oil has a delicate aroma and is used in several cosmetics and medicines. Many people diffuse essential oils to make their home smell good and to release the possibility of aromatherapy to treat various symptoms. Diffusers are essentially a combination of a humidifier and air purifier. It breaks down essential oils and releases them into the air. Not only do you get aromatherapy benefits but it also eliminates unpleasant smells and creates moisture in your home. Read our comparison of the best essential oil diffusers to learn more. Check out this video, which shows you how to diffuse the oils and how to clean the diffuser. We also wanted to share this handy infographic that shows you the oils we mention above along with the most popular ways to use these different oils to reap their vast benefits. Are Essential Oils the Next Antibiotics? Essential oils are taken from nature and can promote natural healing. Some believe that EOs could replace common antibiotics if they are used wisely. Since many of the oils are reported to heal wounds faster, regulate the digestive system or strengthen the nervous system, some people think that the oils could take over the pharmacy. What do you think? What’s your favorite essential oil and what do you use it for? I appreciate your guide to essential oils. The fact that there are so many types that can do so many things is amazing. I’ve been having trouble sleeping, so based on your description, maybe I should try some lavender as you suggest.